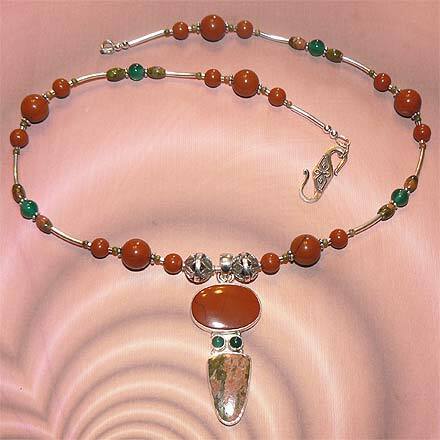 Sterling Silver Red Jasper, Unakite and Green Onyx (dyed) Necklace. See Closeup. 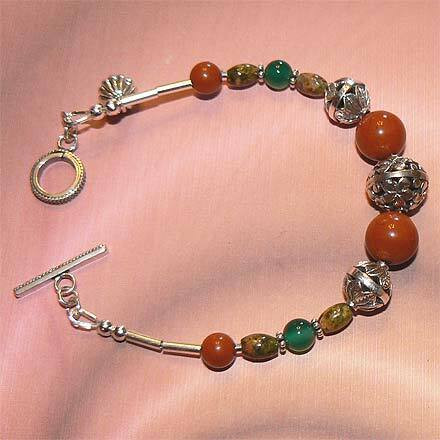 Sterling Silver Red Jasper, Unakite and Green Onyx (dyed) Bracelet. 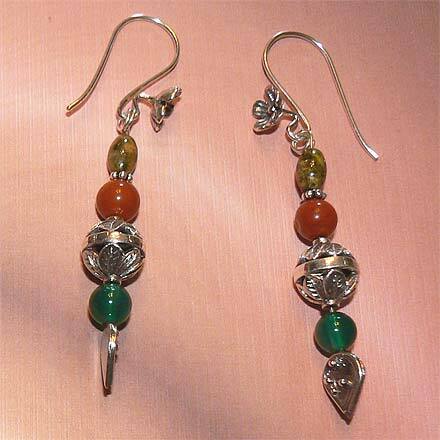 Sterling Silver Red Jasper, Unakite and Green Onyx (dyed) Earrings. I couldn't think of a name to call this jewelry set because it's such a non-traditional grouping of stones. The only thing I can think of is "playful". It reminds me of brightly colored kids toys, like Tinkertoys and fun stuff I can't even recall anymore. There's something about the green glow of the Onyx that brings me back to childhood...lost toys, lost treasures. 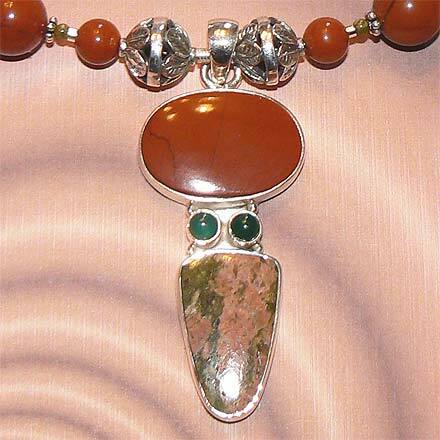 For those who are interested in Astrological significances of stones, Jasper corresponds with Virgo and Leo, Unakite corresponds with Scorpio.